Ever been hiking and wondered--hey, is that edible? We certainly have. 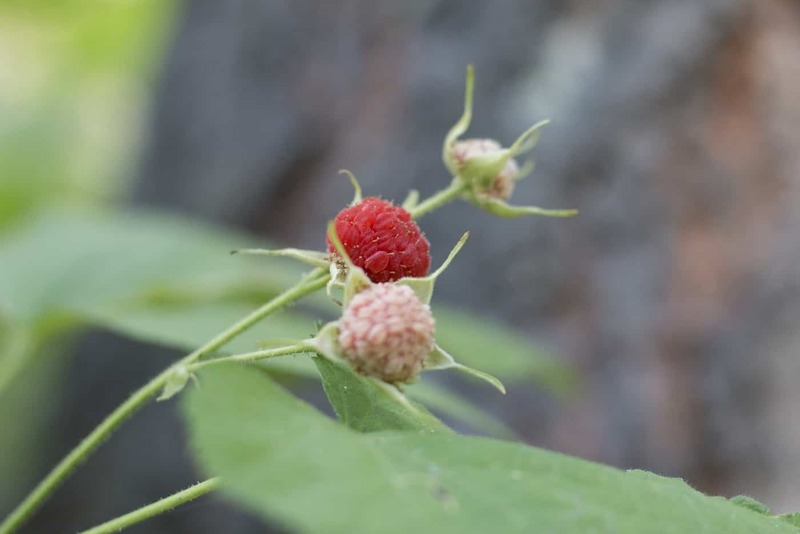 While we don't recommend eating any plant unless you are 100% sure it is edible, we are here to help you out in identifying some berries that we've spotted in the woods around Granlibakken. Shown in bloom, this flower ripens into a deep blue berry. 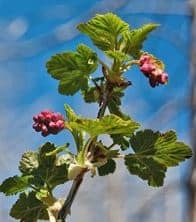 The berry can be eaten on the trail, and has a mild, sugary flavor. Be sure to pick off the dead flower from the berry before consuming. This plant is extremely hardy, and can be found just about anywhere in the Sierras, from 6,000-10,000 feet. If you can get this berry before the birds do, you're in for a treat. This plant has broad leaves and grows around streams and wetter areas in the Sierras. Find them in cooler, shaded areas near streams and rivers around Granlibakken. The fruit looks like a small raspberry, and tastes similar. However, as is the case with many wild plants, the flavor is concentrated, lending a sweeter and more flavorful taste to these berries. They taste like summertime and should be savored. Yes, we know what you're thinking. These berries are most definitely edible, though! Again, this fruit thrives in cooler, shadier and wetter areas around the Sierras. Watch your hands when picking them--we recommend using gloves to avoid getting pricked by those pesky thorns. The effort is well worth it, though, for the delicious pulp found inside these berries. With a sweet, mellow taste, these are a refreshing fruit to eat raw. They can also be pulverized and made into a simple syrup--great for drizzling on ice cream. Check out a recipe here. We hope that you enjoy your next hike around Granlibakken, and that you find some of these delectable berries. 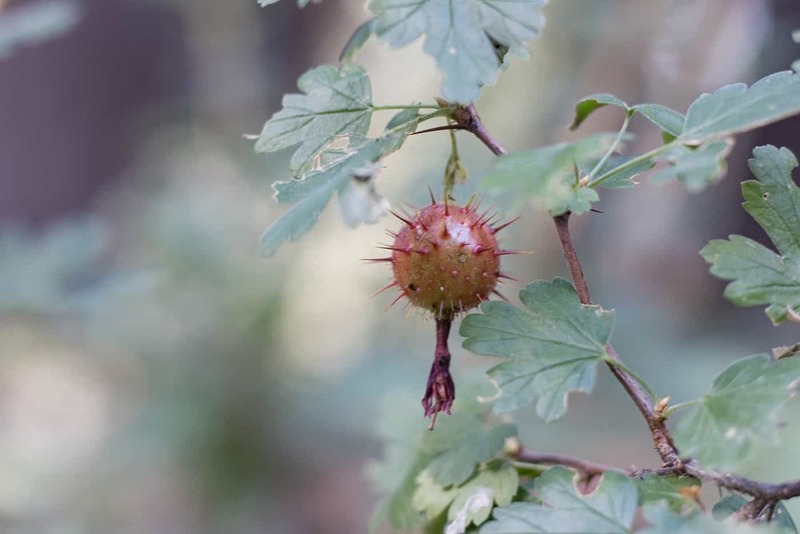 Again, do not eat anything that you can't 100% positively identify, and it is always recommended to go on your first foraging adventure with a professional who can help you to identify edible plants. Click here to book your stay at Granlibakken Tahoe. This entry was posted in Family Getaways, News & Updates, Recreation, Uncategorized. Bookmark the permalink.